Born in 1948 in Russia. Studied mathematics, linguistics as well as theory of music and composition. Works performed in the Bolshoi Theatre and elsewhere. Taught at the Gnessin School in Moscow, a school of music for specially gifted children well-known throughout the former Soviet Union. The Brainin Method became a standard part of the curriculum. Well-known Russian poet. Direction of Seminars and Yearly Master Courses at Hochschule für Musik und darstellende Kunst in Vienna, at 'Mozarteum' in Salzburg, at Austrian Catholic Academy in Vienna, at Rimsky-Korsakov Conservatory in Saint-Petersburg, at the Center of Research and Experiments in Musical Didactic in Florence, at Museum of Musical Culture in Moscow, at Institute of New Technologies of Education in Moscow, and at Boston University. Speaker at a number of international Congresses in Europe, in the USA, and in South Africa. Weekly talks on music on Radio Liberty from Munich and Prague. Literature, critical and scientific musical publications in Paris, Vienna, Arezzo, Florence, Moscow, Boston, Saint-Petersburg, Frankfurt am Main, Berlin, Jerusalem, Pretoria. Initiator and Art Director of the Classica Nova International Music Competition Cycle. 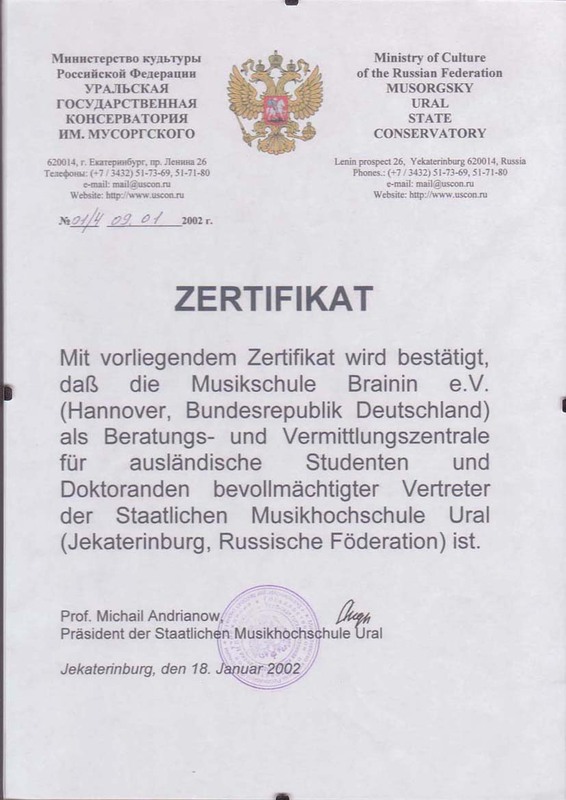 Director of Brainin Music School / Musikschule Brainin e.V. in Hannover, Germany. Director of the Advisory and Intermediary Head Office of the Musorgsky State Conservatory, Yekaterinburg and of the Rachmaninoff State Conservatory, Rostov in Hannover. Full Member of the International Teacher's Training Academy of Science (Moscow). Head of the Laboratory of New Technologies in Music Education at the Moscow State Pedagogical University. 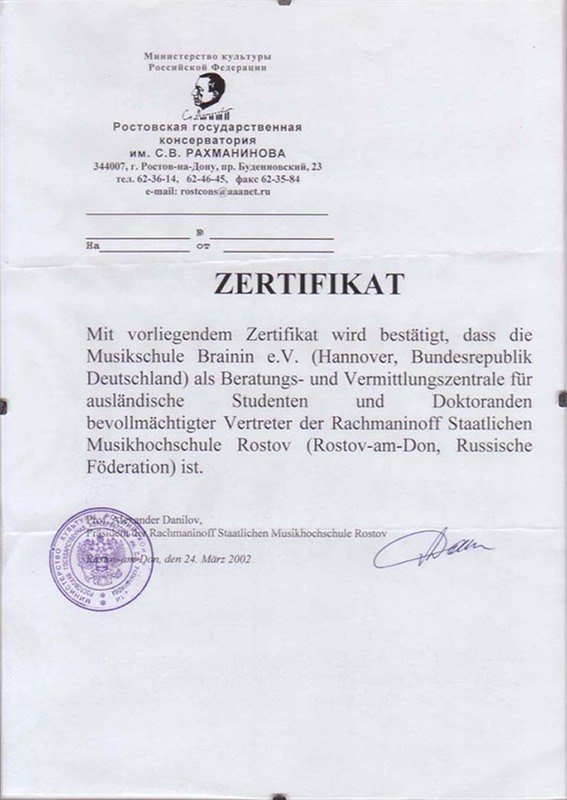 From 2004 to 2014 - President of the Russian Federation Society for Music Education (RussSME) - representing ISME in Russian Federation. From 2015 - Honorary President of the RussSME. He was twice nominated for the ISME Board of Directors (2006, 2008). Poetry publications in Russian and English.